Yeabsra’s next surgery has been set for April and in the meantime, she has been spending some time recovering and enjoying March Break. 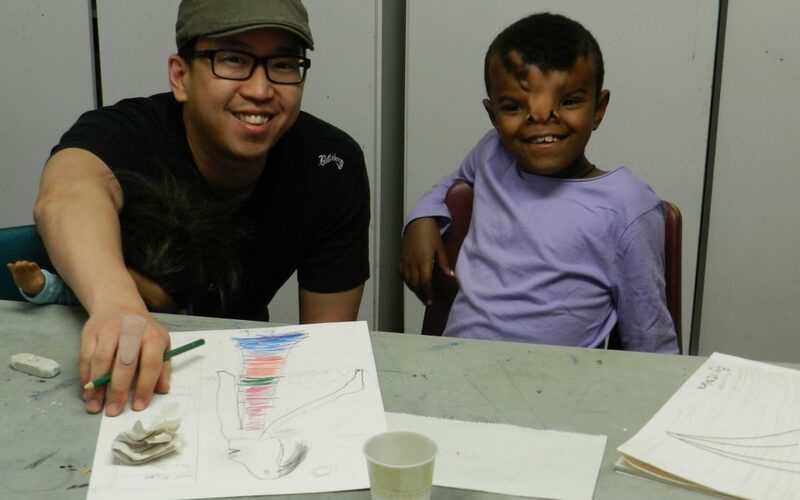 Our heartfelt gratitude goes out to our supporters who took Aynalem and Yeabsra to enjoy some time at a local cottage and who allowed Yeabsra to explore her artistic side at an arts program at Avenue Arts School. 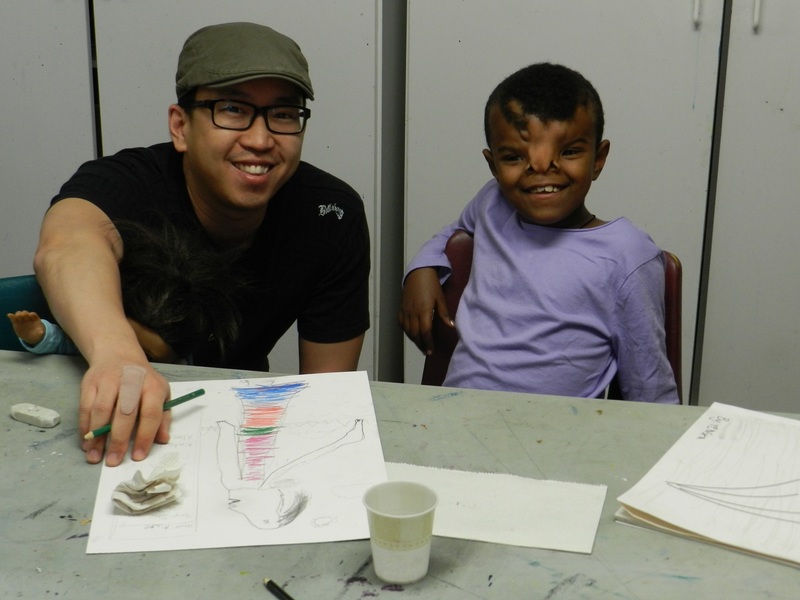 Pictured: Yeabsra is participating and creating in the “Cartooning: Alien Invasion” March Break class, with instructor Louie Kang, at the Avenue Road Arts School (pictured). The tuition for Yeasbra’s class is fully covered by the Arts Scholarship Fund. For more information about The Arts Scholarship Fund, visit www.avenueroadartsschool.com. Pictured: The CAMPS students present Esteban with a cheque. 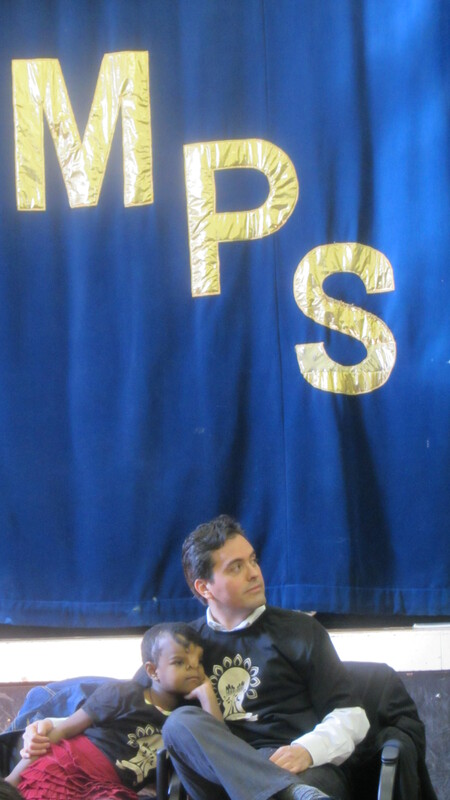 MPS Etobicoke School recently undertook a fundraising initiative to support Yeabsra. The school, which has approximately 350 students from JK to Grade 12 and they collected just over $1,500 in raffle money and sold 71 t-shirts in support of Yeabsra. This will be matched thanks to a private Charitable Foundation. Yesterday, Transforming Faces, with Yeabsra and Aynalem in attendance, visited the school for the formal cheque presentation. Students were allowed to wear their Yeabsra T-shirts instead of their uniforms. They also gave Yeabsra a backpack full of school and arts supplies. Our gratitude goes to all the students and faculty for their fundraising efforts. Pictured: Esteban Lasso, TFW Executive Director and Yeabsra attend the cheque presentation.